Matt Blair will perform at the Kress Pavilion April 20. Submitted photo. Minneapolis-based pianist, composer, improviser and educator Matt Blair will perform as part of the BEGIN music series at the Kress Pavilion in Egg Harbor on April 20, 7 pm. 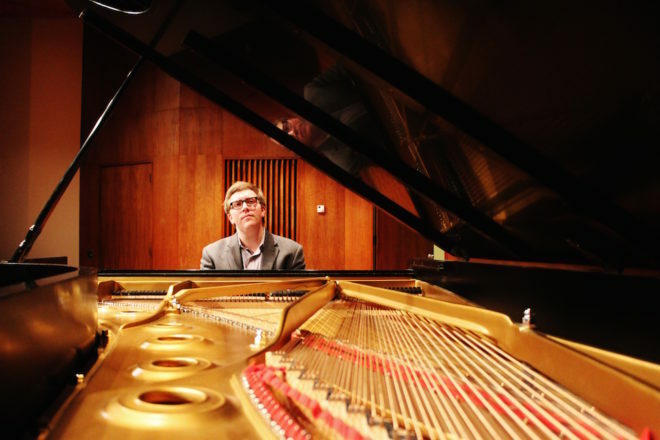 He will play compositions from his new recording, Shadow Sets – which he has been performing on tour throughout the country – on the Kress Pavilion’s Steinway piano. Blair earned a bachelor of music degree at Lawrence University. Since moving to Minneapolis, he’s been performing with YINS, a duo with drummer Devin Drobka; Collector, an improvising piano trio with bassist Jakob Heinemann and Devin Drobka; Work Friends, a jazz quintet dedicated to playing all original music; and Slipstream, a chamber quartet that focuses on commissioning and performing new music. A suggested $10 donation at the door will go directly to the pianist. Learn about more BEGIN events at rhythmplex.com.